Situated in the country of Georgia is the beautiful legislative capital, Kutaisi. The city, home to over 147,000 residents, includes many gorgeous gardens and streets lined with tall, flourishing trees. Kutaisi offers you historic architecture, high-class entertainment and plenty of sightseeing opportunities. 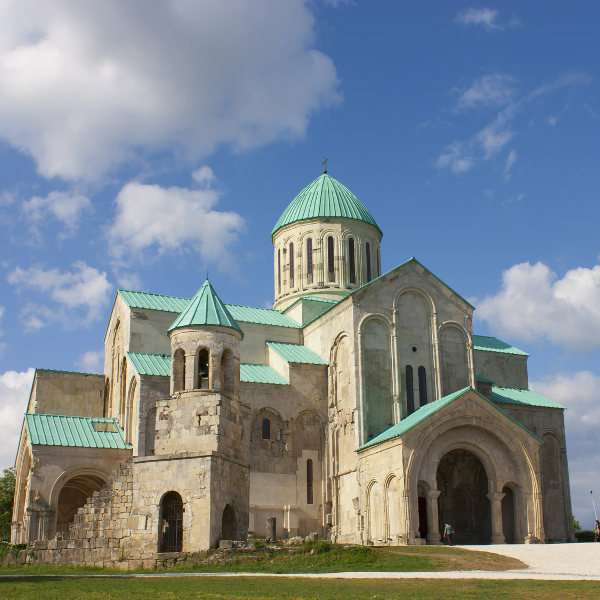 Top attractions include the Bagrati Cathedral, Okatse Canyon and Kutaisi Botanical Garden. Prepare to immerse yourself in the classic Georgian culture, because cheap flights to Kutaisi are now available for a limited time! Kutaisi is the home of Kutaisi International Airport (KUT), which is a 30-minute drive from the city centre. With its location on the Rioni River, and the surrounding landscapes, you’ll have plenty to feast your eyes on while exploring Kutaisi. Some popular venues in the city include the Colchis Fountain and the Galakation Tabidze sculpture. Kutaisi has been the capital of the ancient kingdoms of Colchis and Imereti. Today, you can get a glimpse into this destination’s story with visits to historic sites like Bagrati Catehdral, Gelati Monastery and Geguti Palace. 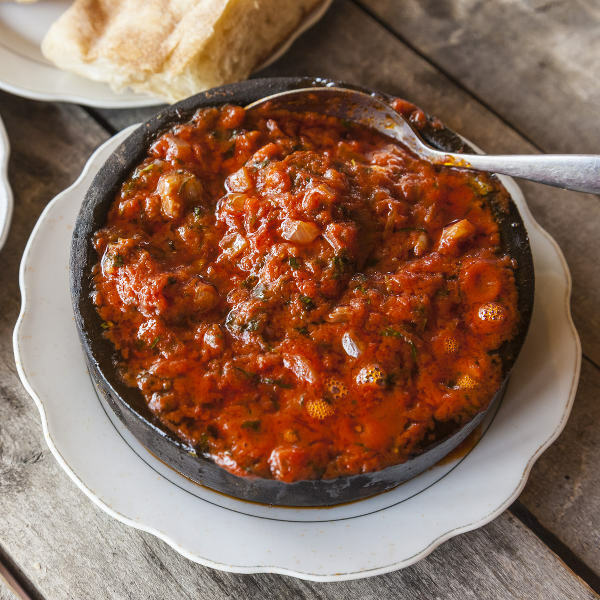 A visit to Georgia would not be complete without trying out the local dishes. Some famous meals to enjoy include chashushuli (beef stew), mtsvadi & tkemali (kebab with sour plum sauce) and puri (Georgian bread). For a quieter experience travelling to Kutaisi and cheaper accommodation rates, visit between February and April (late-winter – mid-spring) and during November (late-autumn). The temperatures during these months range from cool to cold, meaning fewer visitors and more affordable hotel rates. Between May and October (late-spring, summer and mid-autumn), temperatures range between the low and high 20s. This is the ideal time to go exploring the natural attractions surrounding Kutaisi. Should you visit during these months, be sure to book your flight tickets and accommodation well in advance. You should also be prepared to pay higher hotel rates. Situated on the Rioni River is the legislative capital of Georgia, Kutaisi. Bordered by the foothills of Northern Imereti, the mountains of the Samgurali Range and the plains of Colchis, it is a destination offering you lovely surroundings. You’ll even find many gardens in the city centre and beautiful tree-lined streets. Kutaisi contrasts this treasure trove of natural beauty with a number of historic sites, such as the Bagrati Cathedral, Gelati Monastery, Mtsvane Kvavila and Geguti Palace. You can learn more about the history of this city with tours available at many museums, such as the Kutaisi State Historical Museum, Kutaisi Museum of Sport, Kutaisi Museum of Martial Art and Museum of Zakaria Paliashvili. Discover the entertainment offered in this Georgian destination, with the theatres and cinemas around the city. These include the Kutaisi Lado Meskhishvili State Academic Theatre and the Kutaisi Meliton Balanchivadze State Opera House. Other attractions in and around the city consist of the David Agmashenebeli Square, Colchis Fountain, the Kutaisi Botanical Garden, the Prometheus Cave and the Okatse Canyon. Compare several airlines and book your cheap flights to Kutaisi online at Travelstart! Be careful when crossing the road, even at pedestrian crossings. The drivers have a reputation for not stopping for any reason. Refrain from walking alone at night.